Newry is a thriving regional hub located on the border with the Republic of Ireland, approximately 40 miles south of Belfast and 60 miles north of Dublin. It is served by excellent transport links and is strategically located just off the A1 dual carriageway. 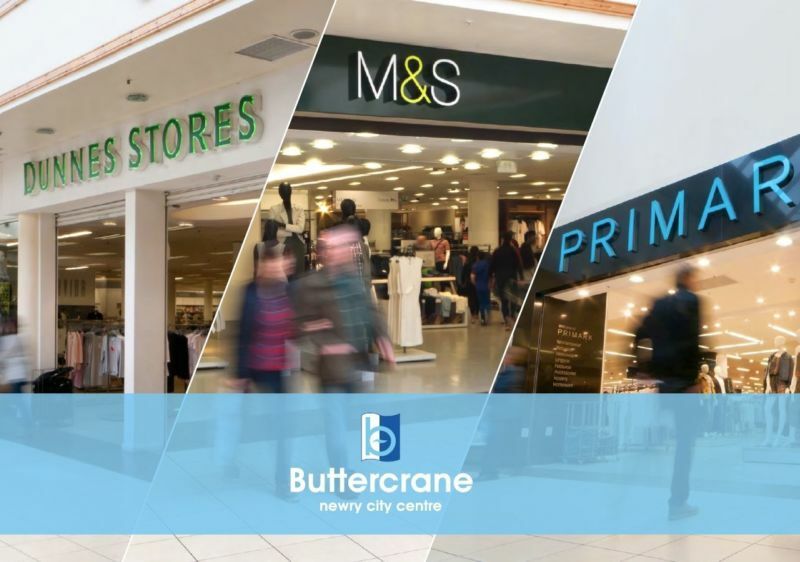 Buttercrane provides 260,000 sqft of prime retail space anchored by Primark (39,000 sqft) and Dunnes Stores (27,000sqft). Other key retailers within the scheme include Superdrug, JD Sports, Argento, Boots, Jack & Jones, Clarks, Holland & Barrett and Specsavers.